We develop software, hardware and applications to transform, automate & simplify business processes. We thrive on identifying needs in the marketplace and creating smart designs to solve business process problems. We create and develop start-up entrepreneurial ventures and new businesses. We look for iterative and scalable business models in different industry verticals. We innovate, validate and refine custom-built technological designs with our business partners and markets. This quote is a core value of TSG. We blend a lights-out philosophy with a human centred design approach. We are inspired by creating clever new approaches. We research and develop, evolve and engineer system solutions. Once a rookie start-up….we are now a proven technology problem solver. We are self-funded and organically grown. 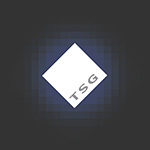 For the last two decades, TSG has been quietly developing solutions in hard-to-solve niche areas. We work with large and small organisations in both the private and public sectors. Forward thinking and pragmatic, our team creates innovative and intelligent designs that have commercial application. Our simple, powerful applications work. The technology is robust & secure and uses an independent communication system. The software delivers differentiated business productivity with data analytics to provide valuable reporting & feedback . Please contact us us to discuss your needs – this could be a new challenge or a current unresolved project. Our system solutions all have several key attributes that we believe are critical for success: they are robust, smart, scalable and feature-rich. MealPass is a cost allocation tracking system custom-designed for the Australian Defence Forces. It is an accurate and reliable meal data capture and reporting interface between military mess catering contractors and the Australian Defence Forces. YQme is a online ordering app for the hospitality industry, in particular for cafés, restaurants, pubs, caterers, suppliers and takeaway food outlets.